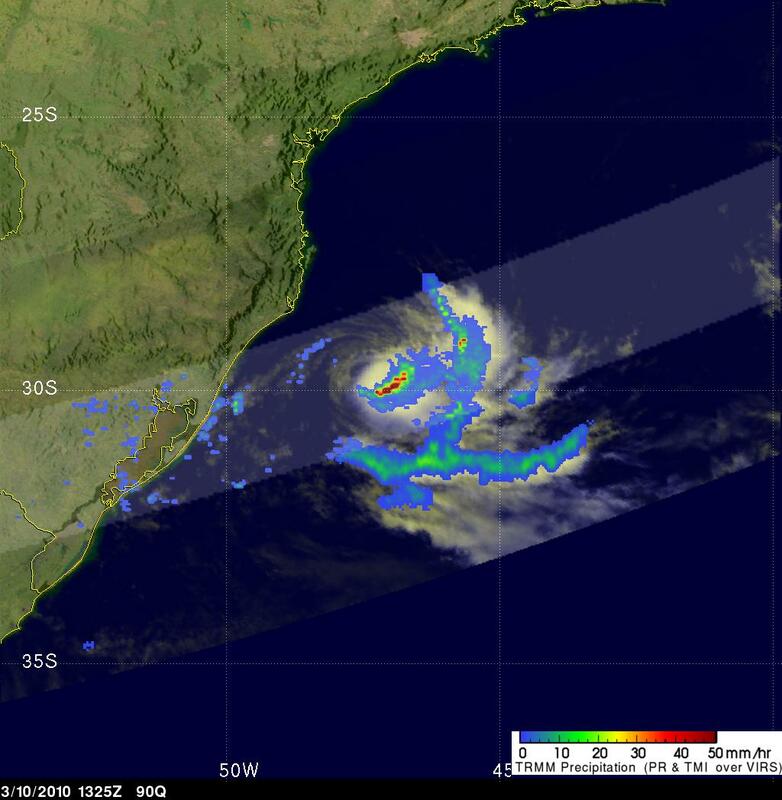 NASA is following a curious short-lived event, the second tropical storm in recorded history reported by NASA to form in the cooler South Atlantic. 90Q (GOES12 satellite image) is located about 325 miles east of Puerto Alegre (near 30S / 45.8 W), has maximum sustained winds near 46 mph (40 knots) and continues moving in a general easterly direction away from the Brazilian coast. The first tropical cyclone ever seen in recorded history in the South Atlantic occurred in March, 2004 and was called Catarina or 1-T Alfa. TRMM (Tropical Rainfall Measuring Mission) satellite data showed thunderstorm tops near the center of the storm reaching to heights above 12.5 km. When he's not playing with Lego, Christoph Niemann from The New York Times has fun with the visuals of Google Maps and the result is also downright fun. Google Earth (GE) doesn't stop to propose us to view new great images for filling the few hours of our spare time. 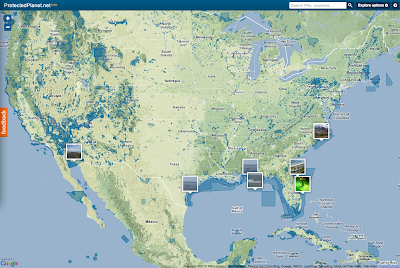 Some users of this website are a little lost moving to the new one because they don't find the NOAA layer directly when the new Marine GeoGarage link is launched. 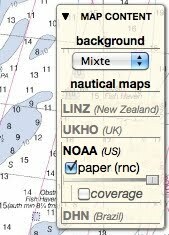 Marine GeoGarage will always allow you to look at the NOAA charts but among other charts coming from other Hydrographic Services. It will open in a new window that you can then maximize to get the best view. Also, if you sign up with the site (free), then you will be able to save waypoints and routes. When you open the site, if you first see a satellite view, then zoom into your favorite area by clicking on the place several times and then click on the “Map Content” box in the upper right hand corner of the chart to drop down the menu. Click on the NOAA box and check the “paper” box. The satellite view will be replaced by the NOAA Chart covering the area. Under the “paper” box, there is a slider. By moving that slider to the left, the background map will start to show through. The background map you see depends of the little drop down box under “background” at the top of the “Map Content” box. “Hybrid” is a good choice. Click on “Map Content” again to close the box. It is interesting to compare the shoal areas on the chart with the view in the satellite view. 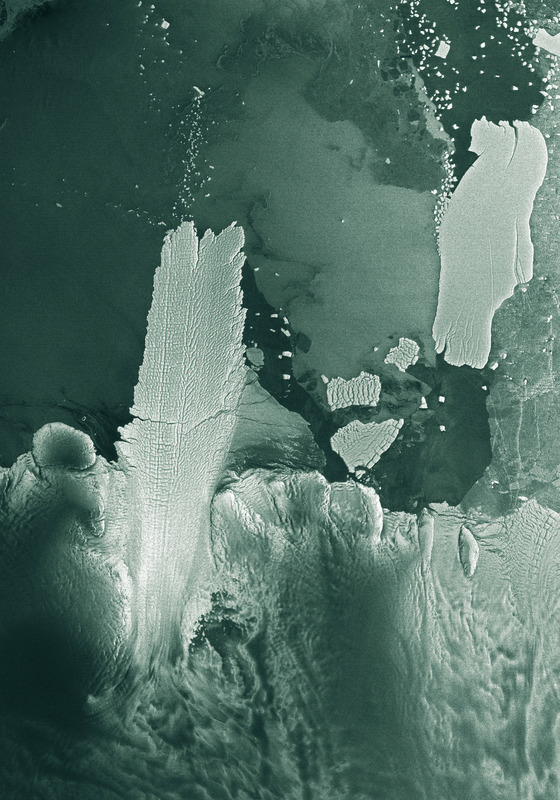 This animation (credit ESA), made up of eight Envisat radar images, shows the 97-km long B-9B Mertz Glacier Tongue in Eastern Antarctica in early February 2010. The collision caused a chunk of the glacier’s tongue to snap off, giving birth to another iceberg nearly as large as B-9B. 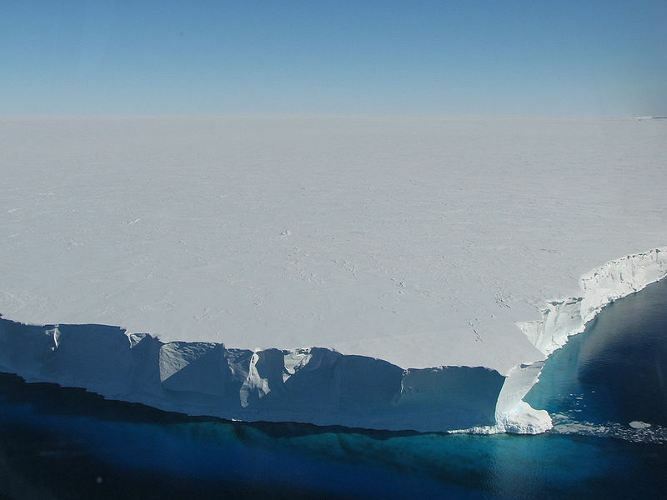 The new iceberg, named C-28, is roughly 78-km long and 39-km wide, with a surface area of 2500 sq km (the size of Luxembourg). Icebergs that calve off Antarctica’s coast are often swept up by ocean currents circling the continent, and may remain relatively intact for months or years, so long as they remain in sufficiently cool conditions. Some icebergs, however, drift north to warmer climates and disintegrate. By observing the response of an iceberg to a warmer climate at a lower latitude, scientists can make predictions about how ice shelves—thick slabs of ice attached to coastlines—might respond to a warming climate. We note that about 25% of our users who asked to login never completed the process. check your Spam or Bulk Mail folders. It's also possible that the verification email we tried to send you was caught by a spam or bulk mail filter in your email system. 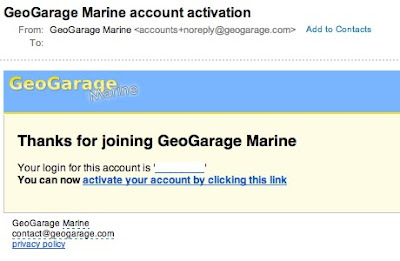 if you don't find the email in one of these folders, add accounts+noreply@geogarage.com to your address book or your filter's whitelist, and request another verification email. still haven't received the email? 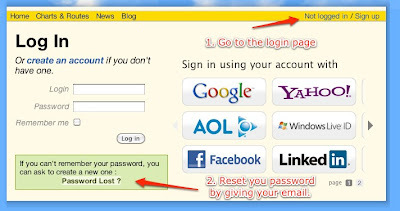 If you haven't received a verification email within 24 hours, please click the contact us link. We'll be happy to assist you further. 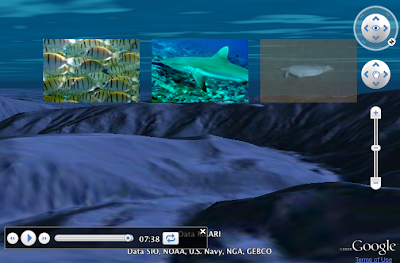 WDPA-Marine is dedicated to provide the most comprehensive set of marine protected areas (MPAs) data available. With less than one percent of the oceans under legal protection, it is essential to maintain a dataset that focuses on MPAs and representation of the diverse species and habitats found in the marine environment. 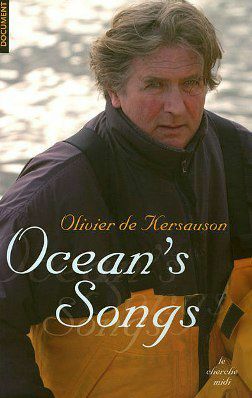 Protect Planet Ocean : 1% is not enough! You're the skipper, you're responsible ! Every year there are many preventable accidents and incidents which occur on our waterways. Many of these incidents occur simply because of a lack of understanding of basic marine navigation techniques and water-traffic rules. This online module has been designed by New South Wales Government (NSW Maritime) with the assistance of Britain's Royal National Lifeboat Institution to reinforce the boating safety knowledge that you already have as a navigator and hopefully prevent future accident from occuring. 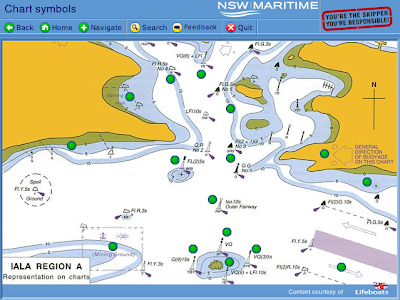 Using animation, boaters can choose to view navigation buoys and marks from a variety of angles and views and then adjust the visibility to see these marks in both daylight and at night. So, let's gain a better understanding of the various colors and configurations of lights by responding to a series of different scenarios in interactive quizzes, manipulating all a variety of vessels including motor boats and sailing boats. After an early sporting carrier spent in ocean sailing races, some French famous sailors seem to have fallen in love navigating close to North or South poles of our planet. Philippe Poupon ('Philou') winner of two single-handed transatlantic (Ostar and Route du Rhum) races more than twenty years ago has achieved with all his family the Norwest passage on his ketch 'Fleur Australe'. Maurice Uguen, who worked with Philou in ham radio communications during 'Fleury Michon' period, routed 'Fleur Australe' during the passage from East to West. Maurice is preparing from his side a project called 'Captain Hatteras' whose aim is to leave Paris in 2011, sail through the Northwest Passage, and reach Korea, to be exhibited at the Yoesu Expo 2012. Jean-Louis Etienne, former crew member (with Philou) of Eric Tabarly with Pen Duick VI (1978), who becomed the first man to reach North Pole alone (1986) is now leading a new project called Total Airship, which aims to fly a blimp over the Artic ocean and the North pole, measuring the thickness of the sea ice. Isabelle Autissier first woman to complete the BOC Challenge (1991), who recently became President of WWF France, is leading with her boat Ada 2, "Nomansland project", a sailing and mountain climbing expedition in Antartica (also testing Safran's anti-UFO system for the detection of icebergs and growlers beneath the surface of the water). Eric Loizeau, another former Eric Tabarly's teammate moved from offshore sailing races to alpinism (climbing Mount Everest in 2003). He is now invested in events organization with his company ELO. He organizes sailing and skiing trips with Bernard Audrezet (his former teamate on 'Roger & Gallet' catamaran) who manages 'Escales Polaires' a fleet of boats navigating in Artic and Spitzberg Sea. Meanwhile Olivier de Kersauzon (ex recordman of the solo trip around the world and winner of the Jules Verne trophy) has chosen warmer latitudes for navigating and living a part of the year in Moorea island (French Polynesia). Same preference for Laurent Bourgnon in Bora-Bora on board the Jambo catamaran after crossing Patagonia for a world tour with his family. All know more than anyone what these words mean.